In 1922, the first radio ad was aired. The first TV commercial: 1941. In 1993, the first web banner. 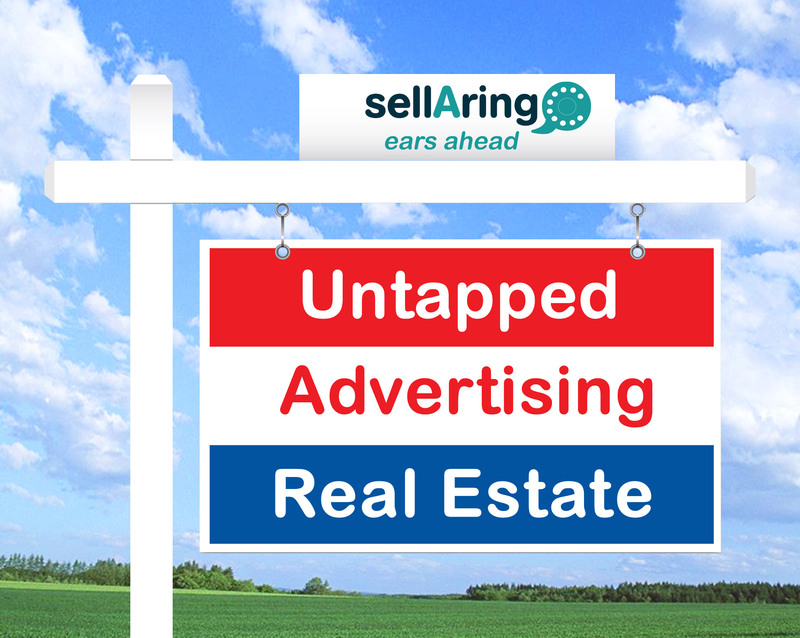 And now, in the year 2012, sellAring is proud to announce a new media — untapped advertising real estate. Not unlike the apple that landed on the head of Newton giving birth to the Universal Law of Gravitation, an idea struck Zohar Halachmi when he picked up a cell phone and dialed a number. He waited. And waited. And…waited — almost half a minute of wasted time — until the call was picked up. During which, a seed was planted. One that, in a short course of time, would sprout a revolutionary new technology — a new media! REPLACING THE RING BACK TONE WITH TEN-SECOND AUDIO ADS. Zohar had discovered that those precious (though wasted) seconds weren’t all based on the time it took to answer on the other side — the phone network produces a “faux” ring called the Ring Back Tone to indicate that it’s about to make the connection — even before the remote phone actually rings! He calculated that 30 hours a year on average was being frittered away listening to ring back tones. What if that time was put to good use? What if…there were brief audio ads that played during the time one waits for the other party to answer the phone? The answer, for Zohar, was a simple one: a new ad platform — with a blue ocean strategy — that creates un-tapped advertising real estate. And, lo and behold, sellAring, The New Media, was born. BANNERS ARE SO 2011. SELLARING IS SO 2012.
sellAring is ears ahead. Unlike traditional mobile ads, the message is planted not through the eyes but the ears — making it, perhaps, the greatest advance in media since… well, since maybe the first radio ad. Case in point, when a window ad pops up and it gives you the option to "skip this ad", does anybody not skip it? Can the smartphone caller dismiss the audio ad during its play? No. The 10-second ad always plays in full. For advertisers, app developers and smartphone users, replacing the call setup Ring Back Tone with sellAring audio ads is a win-win-win. 1) Advertisers win. They get a more engaging ad for better ROI — and are able to see higher, better conversions through targeted ads. There’s even a unique “Click to Action” menu after the call is completed. 2) App developers win. They earn considerably more revenue — without compromising the usability or aesthetics of their app. Fact is, sellAring permits developers to keep all existing services and revenue while providing an additional source. Everything to gain, nothing to lose. 3) Android smartphone users win. They get a far better experience since they’re able to engage with apps without the interference of banner ads or other methods offered by traditional advertising. How great is the mobile market? Last year, in just the U.S.A. alone, over a billion dollars was spent on mobile advertising. The picture gets even prettier: there are over 200 million Android smartphone users, a number that rises steadily and dramatically with, thus far, 10 billion app downloads. It’s predicted that sales of smartphones will exceed those of PCs in 2012 — and 52% of global smartphones is an Android. More and more advertisers are being drawn to location-based services — and, of all the location-based services, only the sellAring ad network delivers audio mobile ads… making it the next big thing — The New Media! Before founding sellAring, he served as VP global sales of ECI telecom. Prior, he served as VP Asia at Amdocs. He founded Thetis Technologies and was the first to offer SaaS solutions (Software As A Service) to enterprise. Mr. Halachmi also lectures at the Technion – Israel institute of Technology and at Tel Aviv University.